by 20 percent within 5 years. Chicago’s biggest buildings cut their energy use 13 to 23 percent since a new city program to publicize consumption data went into effect, according to a city report released Tuesday. That translates into an average savings of up to $200,000 per building per year, the report said. You can read the full report on the City of Chicago’s website. 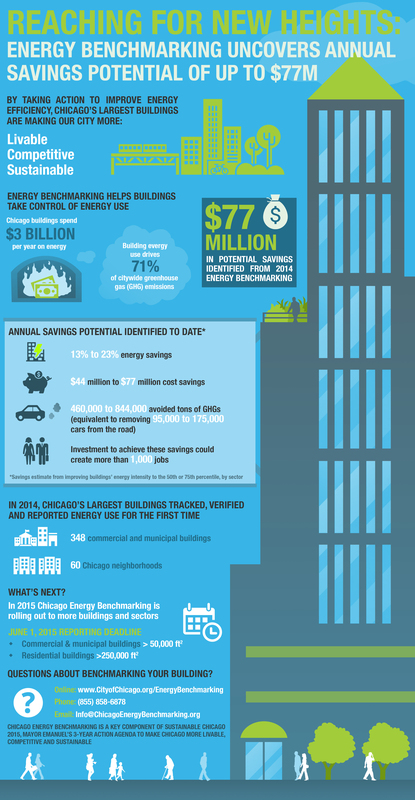 In 2013 City Council passed a Building Energy Use Benchmarking ordinance requiring non-industrial buildings larger than 50,000 square feet to report their energy usage. That’s less than one percent of Chicago’s buildings—about 3,500 in all—but an energy-hungry cohort that the city said accounts for 22 percent of all energy use by buildings. 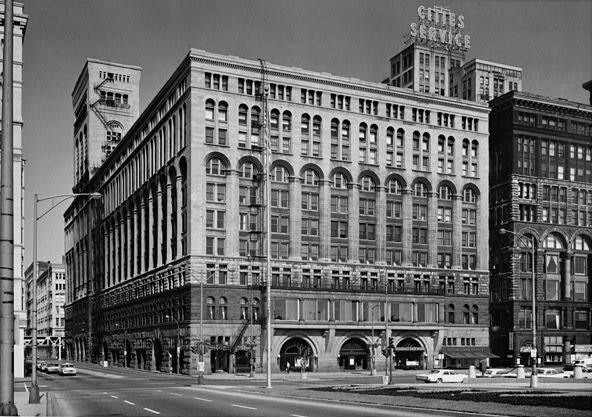 The move was praised by sustainability advocates but criticized by the Building Owners and Managers Association of Chicago, which doesn’t want such data made public. Chicago Mayor Rahm Emanuel has called the program an important of the city’s wider sustainability initiative. Buildings account for 71 percent of the city’s greenhouse gas emissions, according to 2010 data. In 2014, 348 buildings spanning 260 million square feet reported data to the city. “Building size or age appears to have little effect on energy intensity,” reads the report, “but building space use is a primary driver of energy intensity,” or energy use per square foot. Office space made up 60 percent of all greenhouse gas emissions. As the program moves forward, more buildings fall under its reporting requirements. Commercial and municipal buildings larger than 50,000 square feet and residential buildings larger than 250,000 square feet must report their data by June 1. Buildings that joined the program last year need only benchmark and report in 2015. Every third year they need to have the city verify that data. Deadlines for additional buildings covered by the ordinance will phase in through 2016.